The team at Nuo.Network believes they can change the world of banking through cryptocurrency lending. Co-founder Varun Deshpande is creating an open decentralized global financial system. Nuo’s cryptocurrency margin loans are just the first of many financial products the Indian startup plans to offer through its Ethereum marketplace. 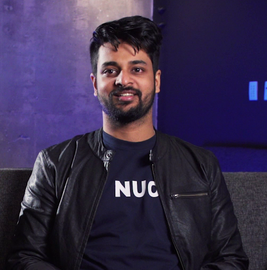 To get a better understanding of Nuo.Network and its plans, we interviewed Varun Deshpande. With the smart contracts system in place, Nuo will help eliminate middlemen in lending and finance. The platform will directly facilitate the user interaction - lending and borrowing. Deshpande thinks the most important financial services are currently missing from the blockchain ecosystem - there is a need for providing financial services once you convert fiat money into crypto. One of the core services is lending right now; where all the action is happening in the decentralized landscape. Currently, Nuo offers liquidity loans on the Ethereum blockchain. “If you put $10,000 in Ethereum (ETH), you can get $6,000 in the form of a stablecoin, which is essentially a Dai loan against your Ether,” explains Deshpande. 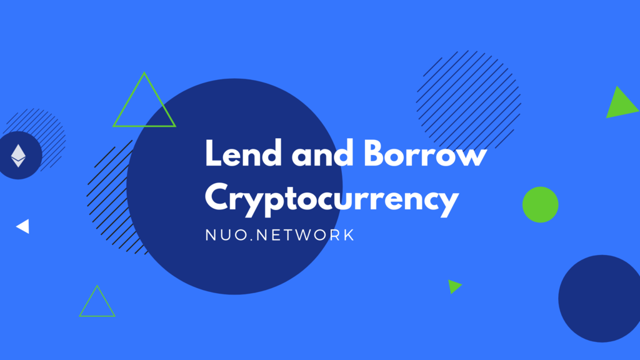 Currently, the finance and liquidity loans on Nuo are used by big traders and institutional investors who are taking long positions in a token. The second product that Nuo has developed is Margin Trading, where you can trade directly on the platform itself. The future plans are far more ambitious. Nuo will be adding potentially refinancing, liquidity, leverage across prediction markets, financial derivatives, staking etc. “When we first started working on a lending platform and a financial services product, we were not thinking about cryptocurrencies and just focused on digital banking,” Deshpande says. However, banks would not give his team access to their application programming interfaces (APIs) and systems. Varun Deshpande is an engineer. He graduated from the Birla Institute of Technology and Science and has been working in startups ever since. Prior to Nuo, Deshpande and his partners Ratnesh Ray and Siddharth Verma launched BeeWise, which centered around credit analytics and helped banks provide loans for people without a credit score. Now anybody with an Android phone can use the BeeWise app to create a credit score with alternative data. Then lenders use these data points to ascertain a person’s credit worthiness. Before starting Nuo, Deshpande and his partners sold BeeWise app to one of the largest lenders in India, Aditya Birla Money. Nuo is currently lending against the following coins and tokens: the Dai (DAI) Stablecoin, the Kyber Network Crystal (KNC), Wrapped Bitcoin (WBTC), Ethereum (ETH), the USD COIN (OTC:USDC), the Basic Attention Token (BAT), and Maker (MKR). For the full list of supported tokens see the Nuo.Network website.